Acer is already a reliable and trusted IT company worldwide when it comes to manufacturing quality devices from computers to smartphones and projectors. Today, it also strives to become synonymous to going the extra mile when it comes to providing service. “These are all qualified technical support agents, all trained to handle technical problems over the phone. In time, we will increase the number of agents depending on the number of repair requests we receive,” he explained. Vasquez said that if the problem cannot be solved over the phone, a ticket number will be created and issued by the Tech Support Team to the client, and that’s where the door-to-door service begins. When repairs are done, client will be informed that the device is ready for delivery. If client will be unavailable to receive the unit on the date and time advised, an authorization letter must be presented by those who will receive the unit on client’s behalf. “That is why the client is informed in advance that the unit is ready. It is best that an authorization letter should be left to those who will receive the unit in case the client will be suddenly unavailable,” Vasquez added. Clients themselves will also have the luxury of checking the status of their device for repair through https://mobilesupport.acer.com.ph, whether it is still in transit or already at the service center. 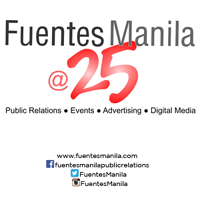 As for turnaround time for repairs, Vasquez said it depends on the problem of the device or availability of spare parts but fittingly, the problem should be resolved within five (5) days and client advised whether the device can still be fixed or not. The service is free, says Vasquez, as long as the device is still under warranty. However, since the program is still new, only notebooks with Intel Core i3 to Core i7 configurations can avail of the service. “We’ll check later if we can also provide it to entry-level laptops since they’re too many. We will prioritize first those who paid premium to avail of this service,” he added. Vasquez bared that Acer will not stop here. He hinted that the next phase, most likely next year, may already include Acer devices that are out of warranty and diagnosis can be done via a downloadable app. “Customer, through an app, can already identify and report potential problems and send this to the contact center, who will then call them. As more people are getting mobile and life is really fast paced, people will have no more time to go to a service center to have their device repaired. This is why Acer will continue to enhance the capabilities of its contact center to provide excellent service consistently. “Acer invested heavily on this proprietary contact center support system because excellent service is what customers want and truly deserve, nothing less,” concludes Vasquez. For more about Acer Philippines’ door-to-door service, go towww.acer.com.ph, follow Acer via Twitter (twitter.com/acerphils) orwww.Facebook.com/AcerPH. 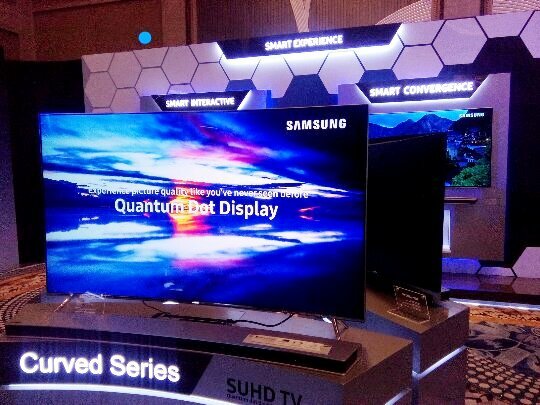 Samsung Electronics Philippines Corp. (SEPCO) showcased its full range of innovative products and technologies across different business units in a company-wide expo titled “The Power of Samsung,” held at Shangri-La at The Fort last August 17. Samsung continues to lead in terms of technology and innovation through its cutting-edge products for mobile technology, home entertainment, digital appliances, and enterprise business technology. All of which were presented to Samsung’s partners, dealers, and stakeholders in “The Power of Samsung” expo. The latest in Samsung’s wide range of products were highlighted in the exhibit, including the recently launched Samsung Note 7, Curved SUHD TV, ATMOS Soundbar, Twin Cooling Refrigerator, AddWash, 8-Pole Inverter, and Curved Monitor. Through these products, Samsung realizes the potential of the fast- and ever-growing market for new technologies that are aimed at improving the quality of life of consumers. “As a global leader in technology and innovation, Samsung is proud and humbled to have the power to set the future in motion. The power of Samsung lies in making innovation accessible for all through a variety of products that are known for reliable quality, distinctive design, and using the latest technology,” said Chad Sotelo, SEPCO Marketing Director. After weeks of excitement and anticipation, ASUS unveils today the complete line-up of the Zenfone 3 family, ZenBook 3 and Transformer 3 Series – which are considered the newest premium product innovations from ASUS. During the official Philippine launch at the Sofitel Philippine Plaza, which is one of the biggest tech events in the country this year. Led by ASUS Global CEO Jerry Shen, ASUS unveils the all-new ZenFone 3 Deluxe, Zenfone 3 Ultra, and Zenfone 3. Shen led the unveiling of the ZenFone 3 Max and ZenFone 3 Laser in the Philippines while ASUS Philippines Systems Group Country Manager, George Su unveiled the all-new ASUS ZenBook 3 notebook and as well as the ASUS Transformer 3 and ASUS Transformer 3 Pro 2-in-1 PCs. The top-of-the-range ZenFone 3 Deluxe is the ultimate expression of the ASUS smartphone technology, with an invisible antenna design that combines premium aesthetics with exceptional performance; the ZenFone 3 Ultra is a smartphone for multimedia lovers featuring TV-grade image processing to deliver an incredible viewing experience; the ZenFone 3 is beautifully-designed all-round smartphone with scratch-resistant Corning® Gorilla® Glass with 2.5D contoured edges; the ZenFone 3 Laser features a 13MP camera with a Sony IMX214 sensor and color correction with an ultra-fast 0.03-second laser auto-focus, and is ideal for photography enthusiasts; the ZenFone 3 Max features a large capacity 4100mAh battery that gives users up to 30 days of standby time, and can also be used as a power bank to charge other devices; the ZenBook 3 is a premium, prestigious laptop with unprecedented performance, featuring an ultra-thin 11.9mm profile and an Intel® Core™ i7 processor; the Transformer 3 Pro is the world’s most versatile PC that delivers extreme performance, whereas Transformer 3 redefines 2-in-1 PC computing with ultimate mobility. Both feature unrivaled expandability, with a range of accessories that includes the ASUS Universal Dock, ASUS Audio Pod, the VR/4K UHD-ready ROG XG Station 2 and ASUS Pen. ASUS ZenFone 3 Deluxe is the flagship model of the ZenFone 3 series and the ultimate expression of ASUS smartphone design. It is constructed with a strong and light aluminum alloy unibody with an ultra-thin 4.2mm edge, and has a rear surface free of unsightly antenna lines. The ZenFone 3 Deluxe features a 5.7-inch Full HD (1920 by 1080), high-contrast Super AMOLED display with a wide color gamut of over 100% NTSC for rich, vibrant colors, even in harsh, outdoor lighting. An ultra-thin bezel gives ZenFone 3 Deluxe a 79% screen-to-body ratio for a maximized display in a compact package. Inside, ZenFone 3 Deluxe is the world’s first smartphone to use the Qualcomm® Snapdragon™ 821 processor, Adreno™ 530 GPU, integrated X12 LTE modem, as well as up to 6GB RAM and 256GB ROM to deliver the best performance and capacity for demanding apps, games, and media. The ZenFone 3 Deluxe raises the bar for mobile photography with its incredible 23MP camera featuring the latest Sony IMX318 image sensor, a large f/2.0-aperture lens, and four-axis optical image stabilization (OIS) for high-resolution, blur-free, and low-noise photos in almost any lighting condition. It also features three-axis electronic image stabilization (EIS) for steady 4K UHD videos. Coupled with the ASUS TriTech autofocus system that automatically selects second-generation laser, phase-detection or continuous autofocus to provide accurate and near-instant 0.03-second focusing and subject-tracking, as well as exclusive PixelMaster 3.0 technology, the ZenFone 3 Deluxe captures truly stunning photos and videos. The ZenFone 3 Deluxe has a built-in fingerprint sensor that is perfectly positioned on the rear of the phone to sit underneath the user’s finger, and which unlocks the phone in just a fraction of a second. Quick Charge 3.0 technology reduces battery recharge times, and a reversible, next-generation USB-C port. The ZenFone 3 Deluxe also excels at audio with its powerful five-magnet speaker and NXP smart amplifier that provides loud, clear, defined sound and also protects the speakers from damage. When listening over certified headphones, users can enjoy Hi-Res Audio (HRA) that provides up four-times-better sound quality than CDs. The finely-tuned ZenEar S earphones are also bundled with ZenFone 3 Deluxe which has a value of PHP 2,995. ASUS ZenFone 3: Agility. Beauty. Clarity. Winner of the Computex 2016 d&i Award, the ASUS ZenFone 3 is a feature-packed smartphone that brings premium design and empowering performance to everyone. Built around a gorgeous 5.5-inch Full HD (1920 by 1080) Super IPS+ display with up to 500cd/m2 brightness, the ZenFone 3 delivers an incredible visual experience that makes apps, videos, and games look their best. With a narrow bezel, ZenFone 3 provides a 77.3% screen-to-body ratio for a maximized viewing area in a slim and compact body. The front and rear of the phone are encased with scratch-resistant, Corning Gorilla Glass 3 with 2.5D contoured edges that gently curve to make the sides of the phone completely smooth. The ZenFone 3 is equipped with a 16MP camera with ASUS TriTech autofocus that automatically selects between second-generation laser, phase-detection and continuous auto focus to achieve precise focus in just 0.03 seconds, resulting in sharp images in any condition. The ZenFone 3 is the first smartphone worldwide to be powered by the new Qualcomm® Snapdragon™ 625 octa-core processor — the first Snapdragon 600 Series processor with 14nm FinFET process technology, which has 35% better power consumption — and an integrated X9 LTE modem. Dual SIM 3G+4G Standby and 802.11ac MU-MIMO Wi-Fi connectivity. It also has PC-grade graphics and up to 4GB RAM that together deliver outstanding mobile performance with improved efficiency and battery life. The ZenFone 3 has a built-in fingerprint sensor that’s perfectly positioned on the rear of the phone to sit underneath the user’s finger, and which unlocks the phone in just a fraction of a second. ASUS ZenFone 3 Ultra: Unleashed. Unlimited. Unrivaled. Winner of a Computex 2016 Best Choice Golden Award, ASUS ZenFone 3 Ultra is a smartphone designed for multimedia lovers, featuring a 6.8-inch Full HD (1920 x 1080) display with a 95% NTSC color gamut for rich, vibrant images even outdoors in harsh lighting. It is the world’s first smartphone to have ASUS-exclusive Tru2Life+ video-enhancement technology, which harnesses a high-end 4K UHD TV-grade image processor to optimize every pixel in each frame before it is displayed, resulting in superior contrast and clarity. ZenFone 3 Ultra also excels at audio with its two new powerful five-magnet stereo speakers and a NXP smart amplifier that provides clear, defined sound and protects the speakers from damage. When listening over certified headphones, users can enjoy Hi-Res Audio (HRA) that provides up to four-times-better sound quality than CDs and the world’s first smartphone with virtual 7.1-channel surround-sound with DTS Headphone:X™. Like the Zenfone 3 Deluxe, the Zenfone 3 Ultra will also have a finely-tuned ZenEar S earphones are also bundled with the unit. Like ZenFone 3 Deluxe, ZenFone 3 Ultra has an incredibly slim and elegant full-metal unibody chassis — the world’s first to have no antenna lines. An ultra-slim bezel gives ZenFone 3 Ultra a 79% screen-to-body ratio, maximizing the viewing area while minimizing its overall size and weight. ZenFone 3 Ultra is equipped with the same high-resolution 23MP camera with the same ASUS TriTech autofocus system as ZenFone 3 Deluxe. Powered by the Qualcomm Snapdragon 652 octa-core processor, Adreno 510 graphics, and up to 4GB of RAM, ZenFone 3 Ultra delivers outstanding mobile performance. A built-in fingerprint sensor is perfectly positioned on the front of the phone beneath the display for the user’s finger to unlock it in just a fraction of a second. The ZenFone 3 Ultra also has a high-capacity 4600mAh battery for long-lasting performance and Quick Charge 3.0 technology for rapid recharge times, 2 minutes of Quick Charging can provide 1 hour of 3G talking time. ZenFone 3 Ultra even works as a power bank with 1.5A output for quickly charging other mobile devices. The ASUS ZenFone 3 Laser has an ultra-fast 0.03-second laser auto focus and advanced backlight (HDR) modes to give users stunning photos. It has a 13MP camera with a Sony IMX214 sensor and color correction for superb natural-looking images even in low-light or indoor environments. Electronic Image Stabilization (EIS) detects movement across three axes (yaw, pitch, and roll) and compensates for movement accordingly to provide smooth video recording. The ZenFone 3 Laser has a stunning metallic design that’s just 7.9mm thin. A hyperfine sandblasting technique provides a gorgeous finish available in Glacier Silver and Sand Gold. It has a Corning Gorilla Glass-covered display with 2.5D contoured edges that fuse perfectly with its matching curved rear panel to give users a natural grip. It has a 5.5-inch Full HD display with wide viewing angles and a high 77% screen-to-body ratio. Super-quick fingerprint security with ZenMotion integration means ZenFone 3 Laser unlocks in just 0.2 seconds, and gives users access to various functions or apps with just a swipe or a tap of a finger. The ASUS ZenFone 3 Max is designed to help users get through the day, and features a 4100mAh battery with an incredible standby time of up to 30 days. It also allows users to do more, giving them up to 20 hours of 3G talk time, 18 hours of web browsing with Wi-Fi turned on, 87 hours of music playback, and up to 15 hours of video playback. The ZenFone 3 Max can also double up as a power bank to charge other mobile devices. The 5.2-inch ZenFone 3 Max has an IPS display, and a glass cover with 2.5D contoured edges that fuse perfectly into its premium metal body to give a comfortable grip. It even features a rear fingerprint scanner and 360-degree recognition for up to five sets of fingerprints. It unlocks in just 0.2 seconds to give users quick access to its various functions. The ASUS ZenBook 3 is the next-generation ZenBook. It has been completely redesigned with a gorgeous, ultra-sleek 11.9mm chassis that weighs a mere 910g. To achieve its amazing lightness without compromising strength, ZenBook 3 is crafted from aerospace-grade aluminum alloy, a premium material that is 50% stronger than the standard alloy used in laptops. As well as being strong and light, this material is also supremely elegant and features the signature ZenBook spun-metal finish. The ZenBook 3 is available in three exclusive colors — Royal Blue, Rose Gold and Quartz Grey — and a special two-phase anodizing process is used to create stunning golden highlights on its diamond-cut edges. The ZenBook 3 delivers unprecedented performance with up to an Intel Core i7 processor, 16GB of high speed 2133MHz RAM, up to a 1TB PCIe® 3.0 x4 ultra-fast SSD, a next-gen USB Type-C (USB-C) port, and powerful quad-speaker audio system by Harman Kardon. Its high-resolution 12.5-inch display has a wide 72% NTSC color gamut and an edge-to-edge covering of tough, scratch-resistant Corning Gorilla Glass 4. A slim bezel design provides an 82% screen-to-body ratio for the maximum display size with the minimum footprint. The ZenBook 3 has an innovative cooling system featuring the world’s thinnest fan design at just 3mm. This efficient cooling enables ZenBook 3 to achieve incredible performance in an ultra-thin from factor. The ZenBook 3 features a full-size backlit keyboard with 19.8mm key pitch — the same as most desktop keyboards — and 0.8mm key travel to deliver a comfortable typing experience. A glass-covered precision touchpad provides smooth and accurate input and incorporates palm-rejection technology, Smart Gestures, and handwriting support for enhanced usability. A built-in fingerprint reader with Windows Hello support grants users an instant one-touch access—allowing them to sign in and unlock the ZenBook 3 quickly and securely without having to type their password or PIN. The ZenBook 3 provides up to nine hours of battery life for all-day computing. When it’s time to recharge, fast-charge technology brings ZenBook 3’s battery up to 60% capacity in just 49 minutes. The ASUS Transformer 3 Pro is a 2-in-1 PC that combines unrivaled performance with incredible portability to create the ultimate mobile device for work and play. Precision-crafted from aluminum, Transformer 3 Pro is only 8.35mm thin, yet has incredible structural strength and rigidity. The Transformer 3 Pro has diamond-cut detailing that accentuates its elegant design, and it is available in gorgeous Icicle Gold and Glacier Gray color options. The Transformer 3 Pro has an integrated metal kickstand with a stepless hinge that lets users set the device at almost any viewing angle up to 170°. The included ASUS Transformer Cover Keyboard is a backlit keyboard that provides laptop-grade 1.4mm key travel for a comfortable typing experience, and is available in four attractive colors — Stone, Charcoal, Taupe, and Amber — that perfectly complement the device. The Transformer 3 Pro has a beautiful 12.6-inch display with a 3K resolution of 2880 by 1920 and a 275ppi pixel density for pin-sharp, detailed images as well and a color gamut of 121% sRGB for rich, vibrant colors. Powerful front-mounted stereo speakers with audio by Harman Kardon provide spacious, defined sound for an incredible listening experience. The Transformer 3 Pro is powered by an Intel Core i7 processor and has up to a 1TB PCIe x4 ultra-fast SSD and 16GB of high-speed 2133MHz RAM for the ultimate performance. Its versatile, reversible USB-C connector supports USB 3.1 Gen 2 devices at speeds up to 10Gbps, and also incorporates Thunderbolt™ 3 for unbelievably fast 40Gbps data transfers and support for dual external 4K UHD displays. The Transformer 3 Pro also comes with USB 3.0 and HDMI ports for convenient connectivity. A 13MP rear camera lets users capture high-resolution photos and videos, and a front-facing camera with Windows Hello facial recognition enables users to log in conveniently with just a quick glance. The Transformer 3 Pro is the world’s most versatile PC, with superlative expansion capabilities provided by a range of accessories that extend its functionality and performance to give users a new level of flexibility and convenience from a mobile device. ASUS Pen is a beautifully crafted writing and drawing stylus that detects 1024 levels of pressure for completely natural note-taking and sketching experiences with a high degree of control. Users can also capture photos with Transformer 3 Pro’s high-resolution camera and annotate them directly with ASUS Pen. ASUS Universal Dock is a hub that provides a full range connectivity ports, including USB-C 3.1, USB 3.0, HDMI, VGA, RJ45 LAN, and a 3-in-1 SD Card reader. It adds desktop-grade functionality to Transformer 3 Pro. ASUS Audio Pod is an entertainment accessory, with four powerful speakers that deliver amazing 360° virtual 5.1-channel surround-sound with rich, defined bass. ROG XG Station 2 is an external graphics card dock that gives Transformer 3 Pro desktop-grade graphics performance, turning it into a VR-ready gaming powerhouse or workstation. The ASUS Transformer 3 is a stylish, ultra-slim and compact 2-in-1 PC that provides users with the ultimate mobility, total convenience, and amazing expandability. Precision-crafted from aluminum, Transformer 3 weighs just 695g, is only 6.9mm thin, and has smaller dimensions than a sheet of A4 paper. Its compact and elegant design is accentuated by diamond-cut edges and an exquisite spun-metal finish. Equipped with the detachable ASUS Transformer Sleeve Keyboard that has 1.4mm key travel, an integrated two-position display stand, and a glass-covered precision touchpad, the Transformer 3 provides comfortable typing and smooth, accurate input for the best productivity and creativity experiences. The Transformer 3 is available in gorgeous Icicle Gold and Glacier Gray color options. The ASUS Transformer Sleeve Keyboard is available in four attractive colors — Stone, Charcoal, Taupe, and Amber — that perfectly complement Transformer 3. The Transformer 3 has a beautiful 12.6-inch display with a 3K resolution of 2880 by 1920 and a 275ppi pixel density for pin-sharp, detailed images, as well as 450cd/m2 brightness and a color gamut of 121% sRGB for rich, vibrant colors. An ultra-thin bezel provides an 80% screen-to-body ratio, maximizing the display area while keeping the device compact and highly portable. Transformer 3 delivers superb video performance with ASUS Tru2Life video-enhancement technology, which optimizes every pixel in each frame before it is displayed, resulting in superior contrast and clarity for the best, most realistic video quality. The Transformer 3 has an incredible quad-speaker audio system developed in co-operation with audio experts Harmon Kardon, an amazing feature for such a thin device. Each speaker is powered by a smart amplifier to deliver rich, detailed, and immersive sound, even at loud volumes. The Transformer 3 automatically adjusts the routing of low and high audio frequencies to the correct speakers depending on the orientation of the device, ensuring users will always enjoy optimum audio quality. The Transformer 3 is powered by 7th-generation Intel Core processors, with up to a 512GB SSD and up to 8GB RAM to deliver fast performance for work and play. Its versatile, reversible USB-C connector supports USB 3.1 Gen 2 devices at speeds up to 10Gbps, and Thunderbolt 3 provides unbelievably fast 40Gbps data transfers and support for dual external 4K UHD displays. A built-in fingerprint reader and Windows Hello support lets users sign in and unlock Transformer 3 quickly and securely without having to type their password or PIN. The Transformer 3 also includes a 13MP camera for capturing high-resolution photos and videos. Like the Transformer 3 Pro, the Transformer 3 is also expandable with a range of accessories — including ASUS Pen, ASUS Universal Dock, ASUS Audio Pod, and ROG XG Station 2 — that extend its functionality and performance, giving users a new level of flexibility and convenience from a mobile device.